Marvel TV hit San Diego Comic-Con's Hall H for the first time ever today. Kinda crazy to realize that, but it's true, and after today I expect it will have real estate here every year. The show kicked off with Marvel's head of TV, Jeph Loeb, earning an award for his years of television and comic book work. Then, the surprises continued (Loeb was taken off-guard by the trophy) when the Punisher himself, Jon Bernthal, arrived on stage. Bernthal introduces the first footage for The Punisher, which begins in a happier time for Frank Castle, playing a guitar with his daughter. The scene jumps forward as Frank struggles to play that same guitar through his own grief and despair. Then the Frank Castle we really came for. He's in a van in Alabama, racing down a couple of bikers, exchanging gunfire with them both. He takes them both down, then proceeds to run over them in the fan, coldly, callously. Cut to a drug lord in Mexico, about to get some head when we see Frank loading up his sniper scope. Bam! He shoots the guy right between the eyes. The camera pulls back to reveal that Frank is nowhere near Mexico. He's miles away shooting the guy from back across the U.S. border. Finally, Frank chokes out a shady businessman in a bathroom stall, and before he dies the guy pleads, "Killing me isn’t going to bring your family back. What does it change?” Frank responds, "Nothing", before finishing the guy off. The Punisher may be the best of Marvel's Netflix shows based on this footage alone. Bernthal was the best part of Daredevil season two and I think he's going to surpass the other Marvel TV heroes before long. Finally, Loeb introduced the cast of The Defenders: Mike Colter as Luke Cage, Finn Jones as Iron Fist, Krysten Ritter as Jessica Jones, Charlie Cox as Daredevil, plus Jessica Henwick as Colleen Wing, Deborah Ann Woll as Karen Page, Elodie Yung as Elektra, and Sigourney Weaver as the villain, Alexandra. Daredevil season 3 was confirmed, and so was Iron Fist for a second season. There had been some doubt since the first one didn't go so well. And it should be noted that only Finn Jones got dead silence when he was introduced. Literally everyone else got rounds of cheers and applause. Kinda embarrassing. They teased showing a new clip from the series, but then Loeb said to the crowd that the clip would be the length of the first episode. Yep, the crowd blew up when they were told they'd be seeing The Defenders' opening episode in full. Having already seen it, I wasn't as excited but stuck around because my buddy hadn't seen it yet. Honestly, I found it boring the first time and it put me to sleep the second time. It's just incredibly slow and we don't begin to see the heroes come together. I have faith it will get better, though. When it was over, Loeb then debuted the new full trailer, which you can check out below. 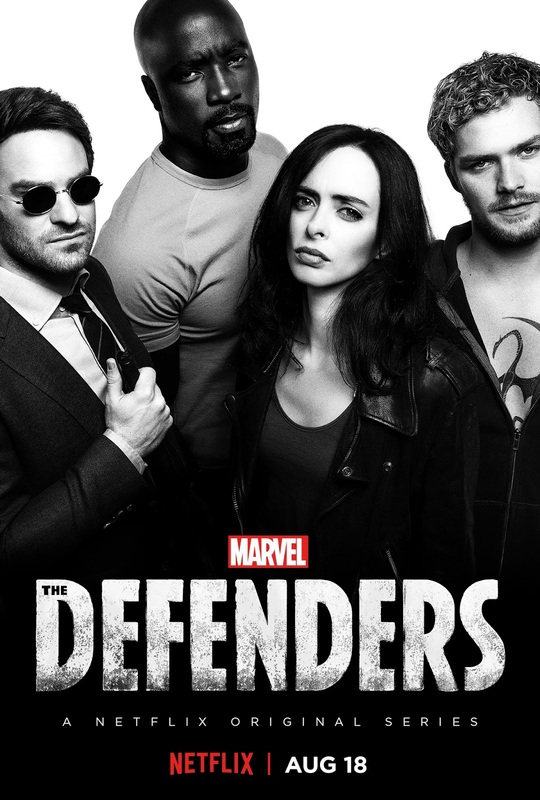 The Defenders hits Netflix on August 18th.